The Blog App is a popular Joomla blogging tool. Browse,share,read and search for all your blogs in the Blog App. The Blog App Pro contains all the features of the Blog App in addition to composing and publishing blogs along with viewing and commenting on blogs. If you like what you see, order a customisation. Get the Pro Version Now ! Blogging transformed digital publishing in the last decade. Smartphones made it even easier to publish and consume blogging content. The Blog App brings an intuitive mobile experience to Joomla based websites which use EasyBlog for their Blogging needs. If you have EasyBlog on your website, this is one application your readers will want to have on their devices. The Free version supports all features except Blog Authoring. If you want write Blogs on the go, you need to get the Pro version. If you like the app and want to get your own customised build with your own colors and branding, you can consider ordering a customisation. Note that the Apps need our REST API package to be installed on your site and plugins enabled to work. Please make sure you follow our documentation to set it up. Also ensure that your website supports the system requirements given on this page below. 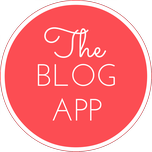 The AppCarvers branded Blog app is available on the Google Play Store and Apple App Store in two versions. Basic and Pro. The above links will let you download the Basic version for free. Pro version links are at the bottom of the page. When you order a customisation, all features of the Pro version are included in your builds. The app supports browsing the various blogs via various means. The app menu features menus to let you check the Latest Blogs, Featured Blogs, Blogs by Author/Blogger, Blogs by Categories, Blogs by Tags. With large websites, you will have a lot of content. Browsing isnt the best way in this case to find the stuff you need. The app features a quick search option placed intuitively at the top of the screen to let you find what you want. Full blogs can be read in a nice disturb free view. One of the best things you can do via a mobile device is the fast and easy sharing of content in the app using a variety of sharing options. Fast and easy way to read and write comments on blogs on the go. This feature is available in the pro app only. Blogging on the go can offer a distinct advantage and you can get things done even from your mobile device. The app blog composer features a simple editor, ability to add images from your camera or gallery and a slew of publishing options. Upon completing your purchase you will be mailed a link to a form that asks for all the customisation related information. Once you complete the form, our friendly team will get back to you with an estimated timeframe for launch. In case you have any questions do checkout our FAQs or drop us an email using our contact form !